A cartoon illustration of a growing business. 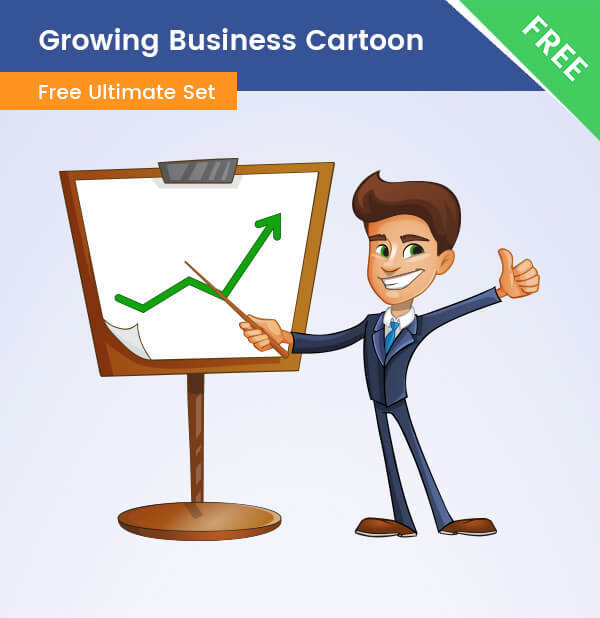 This cartoony graphic is showing a businessman with a positive graph and comes for free download. This is a cartoon illustration of a cute and charming, smiling business character who is pointing to a positive graphic. Perfect for any business-related design. In the download .zip you will find a transparent PNG, an AI, and PDF files. If you are familiar with vector-based software, you can easily modify the colors and shapes of the illustration to fit your needs.